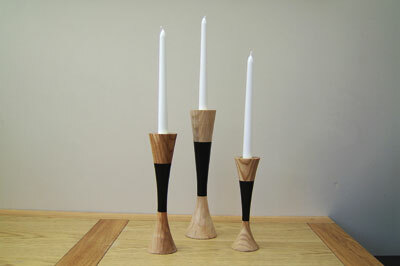 For this project I wanted to make a group of candleholders turned of the same form in descending heights to produce a visually attractive group, which is perfect for a dining table centrepiece. 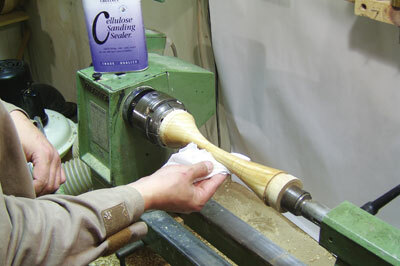 With the addition of colour, in this case a Chestnut black ebonising spray to contrast the ash (Fraxinus excelsior) a further dimension is explored by including a colourful element. 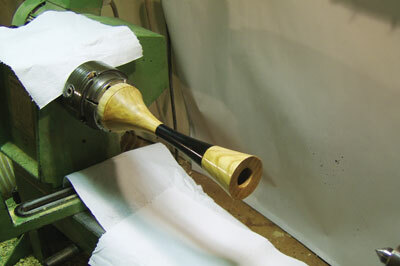 For the project I have used seasoned ash from 100mm (4in) stock for the large candleholder and 75mm (3in) square stock for the smaller candleholders. 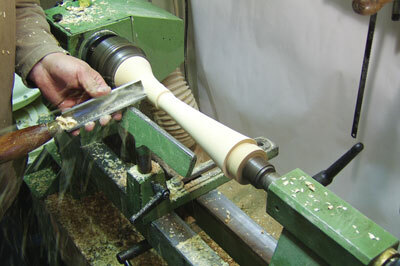 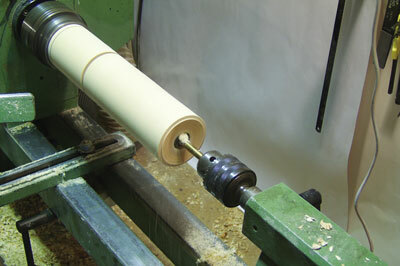 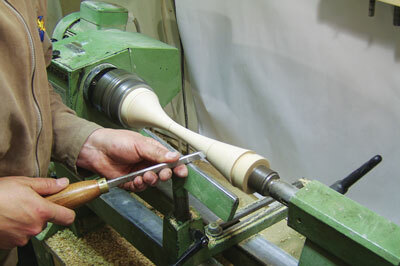 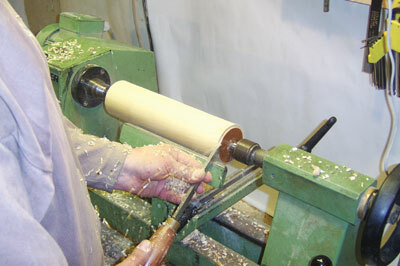 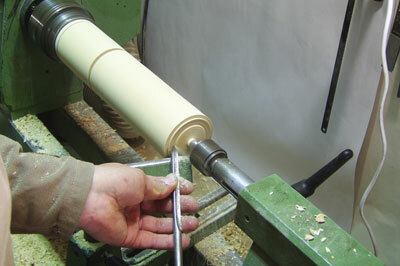 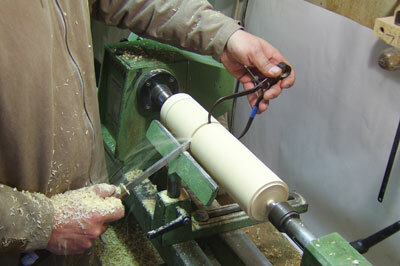 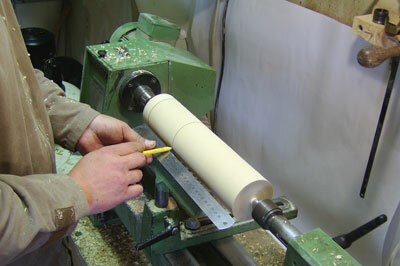 The blanks were cut down on the bandsaw to 10mm (3/8in) oversize to enable the exact external diameter to be obtained. 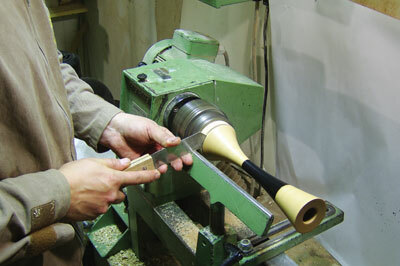 For the three candleholders in this project the ascending heights are: 300mm (12in); 250mm (10in); and 200mm (8in). 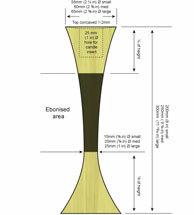 As the candleholders descend in height the top and base diameters are reduced by 10mm (3/8in), respectively. 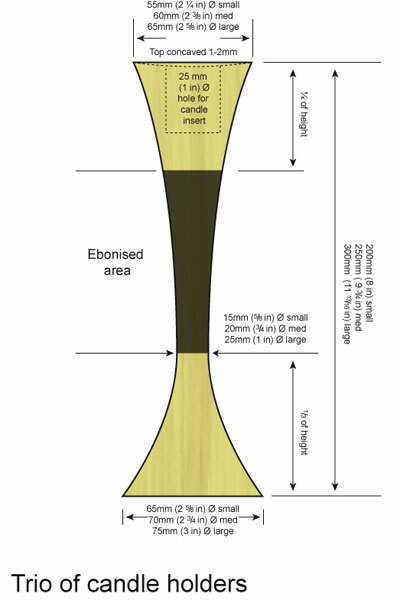 Due to the diameter ratio of a standard sized household candle, the sizes cannot be reduced through the height and diameter proportionally, as the piece will appear out of proportion in relation to the diameter of the candle. 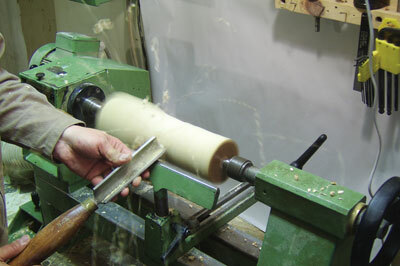 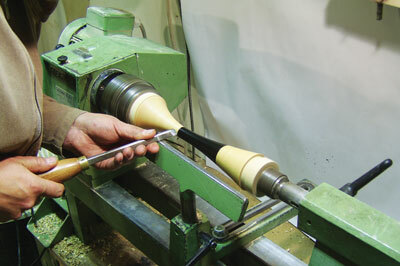 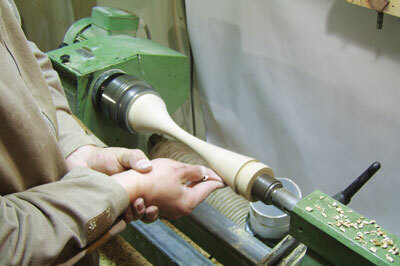 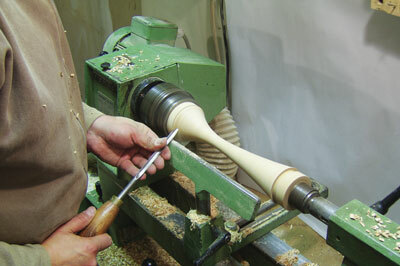 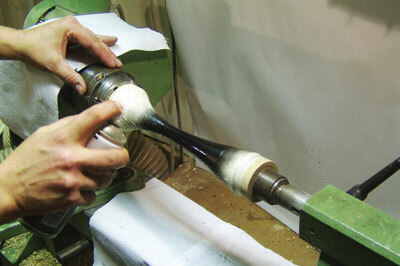 When making the candleholders leave 50mm (2in) over length for the material to accommodate the chuck jaws and parting off during the last turning process.